Another interesting study was published in the scientific Journal Critical Reviews in Food Science and Nutrition. The study is about hydrolyzed collagen supplementation and osteoporosis prevention. 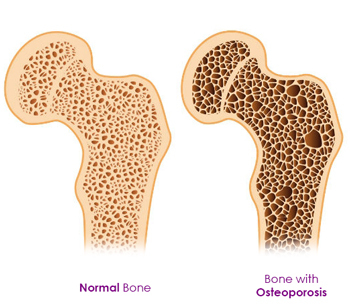 Osteoporosis is a chronic and asymptomatic disease. It is characterized by low bone mass and skeletal micro-architectural deterioration. It increases the risk of fracture, and associated comorbidities most prevalent in the elderly. Due to an increasingly aging population, osteoporosis has become a major health issue requiring innovative disease management. Proteins are important for bone health by providing building blocks and by exerting specific regulatory function. This is why adequate protein intake plays a considerable role in both bone development and maintenance. An increase in the overall metabolism of collagen can lead to severe dysfunctions and a more fragile bone matrix. Orally administered collagen can be digested in the gut, cross the intestinal barrier, enter the circulation. Then become available for metabolic processes in the target tissues. A collagen-enriched diet provides benefits for the skeleton. Collagen-derived products such as gelatin or hydrolyzed collagen (HC) are well acknowledged for their safety from a nutritional point of view. Midway Labs’ Glamour Nutrition offers an easy, on the go, collagen supplement to enrich your bone health and combat the onset of osteoporosis.